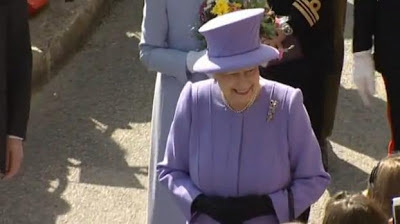 The Queen and the Duke of Edinburgh visited Cornwall. Click for videos and pictures from ITV. This seems like a really cute and fun visit - she even left her wee high-heeled footprints as a mark at St. Michael's Mount, just as Queen Victoria once did.